Propeller’s products and initiatives show deep commitment to the cause. One of my favorite things about the ski industry is both the number of agencies that have been around for a really, really long time and the loyalty that exists to those agencies. Propeller is certainly one of those. And like other agencies, I’ve loved watching Dave Gibson and company merge all those design and developments skills with the gaps they see among resorts to build not just one-off solutions for individual mountains, but scalable web apps or products multiple resorts can benefit from. I really do love this. Well-built tools to solve a clear problem, delivered by a group that is committed to ski. Yes, I love me some web apps. But you know what I love even more? Sharing ideas and examples of what does (or could) put more skiers on slopes. Which is why I love Moving the Needle, a video series which Dave calls his “project of love” for this year. I love Propeller’s commitment to ski, I love that they’re building new tools that can scale outside of the typical agency model, and I love that Dave’s passion project isn’t so mobile app he hopes will get acquired by Google, but a roadtrip through the industry to gather as many bits of “how do we grow this sport” wisdom as possible. 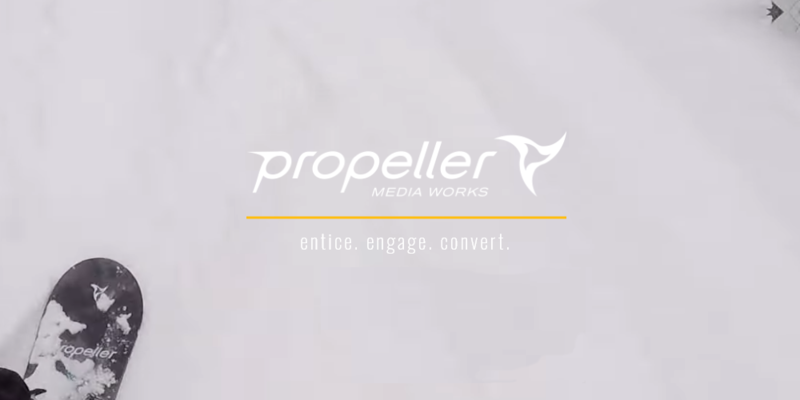 Keep up the awesome work, Propeller.